1987, Wyoming Women’s Centennial History Project. CoPIs: Pamela Galbreath, Virginia Scharff, Sheila Sundquist, Lynne Swanson, Janet Clark, Robert Righter, Katherine Jensen. Contributing agencies: Wyoming Council for the Humanities; University of Wyoming Women’s Center (SEO), Student Educational Opportunity, American Studies, and Women’s Studies. Amount, Wyoming Council for the Humanities: $10,000. 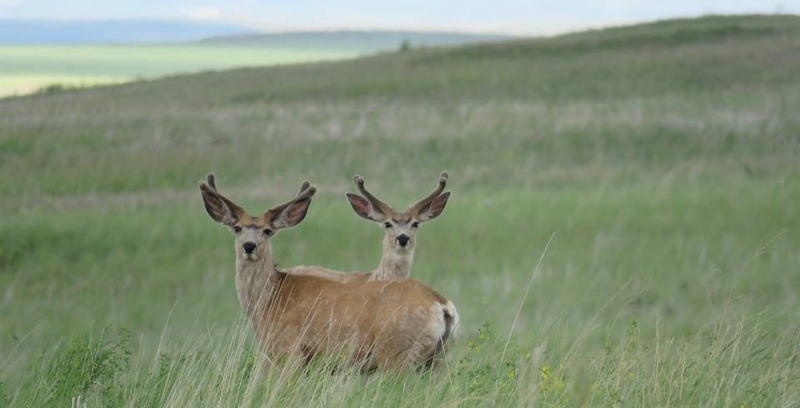 Mule deer near my hometown in Wyoming. Photo by Robert Galbreath.